With warm weather mosquitoes arrive, and bring a growing threat of disease. Habitat and the number of potential diseases that can and do occur in the United States now include West Nile Virus, Zika, Chikungunya, Malaria, Dengue, Eastern Equine Encephalitis, St. Louis Encephalitis, and Dog Heartworm. Unfortunately, the mosquitoes likely to be a vector of disease are abundant in the southern half of the U.S., including Texas. Contact The Bug Dude today to schedule professional pest control in Fort Worth, TX. The Asian Tiger Mosquito receives its name from its black and white striped body and legs. A native of Asia, it was accidentally imported to the continental U.S., in 1985 through tires from Asia. It’s an aggressive daytime biter and can be a vector of numerous diseases, including West Nile Virus, Zika, encephalitis, Chikungunya and dengue fever. As with other species of mosquito, only the females bite, requiring a blood meal to produce its eggs. The Asian Tiger mosquito is found worldwide, and has adapted to colder climates. Recent research reveals the mosquito can pass Zika Virus along in its eggs. To date, Zika occurring naturally in the U.S. has occurred in southern Florida and southern Texas. The females lay their eggs inside containers where stagnant water stands, such as tires, flowerpots, birdbaths and baby pools, or any location that can hold water. Controlling the environment and scheduling professional pest control in Fort Worth, TX are the best means of reducing your family’s chances of mosquito-born diseases. An effective means of preventing mosquitoes is by eliminating standing water around your home. Aedes aegypti mosquitoes are one of the most widespread of the mosquito species. Their common name originates from their being the primary vectors of yellow fever, which is prevalent in tropical South America and Africa. While yellow fever isn’t currently a risk in the U.S., the mosquito is widespread in the U.S. In addition, it’s the vector of other diseases, such as Zika Virus, dengue, Chikungunya and other diseases. Their preferred habitat is to live near and feed on humans, making them more likely to cause disease, than some other species, for example Aedes albopictus. However, it’s important to realize both can cause disease. Contact The Bug Dude for pest control in Fort Worth. With the introduction of new mosquito born diseases in the U.S., it’s essential for each home and community to do all it can to prevent mosquitoes, including pest control in Fort Worth. Aedes aegypti lays its eggs in standing water, often in man made containers. Furthermore, the eggs of this species can survive for as long as 8 months when they dry out. Once water is reintroduced, the eggs hatch, becoming adults within a week. The eggs are laid on the walls of containers and require strong scrubbing to remove them. They’re active throughout the day, and at dusk and dawn. Only the female bites, and feeds on blood, in order to produce eggs. Mosquito prevention relies on eliminating standing water around your home. At least once per week empty and scrub items that can hold water. Alternatively, you can cover or throw away items which hold water. In addition, rain collection barrels should be covered with fine mesh screen wire to prevent mosquitoes from getting inside and laying eggs. When outdoors, wear a long sleeve shirt tucked into long pants. In addition, tuck pants into socks. Furthermore, use insect repellent containing 20% DEET, and professional pest control in Fort Worth, TX. Ensure the screens on windows and doors fits tightly, and is in good repair. Use mosquito repellents and follow instructions carefully. Use yellow “bug lights” outdoors, while not a repellent, mosquitoes aren’t as attracted to them as general lighting. Use professional pest control in Fort Worth, TX for treatment. 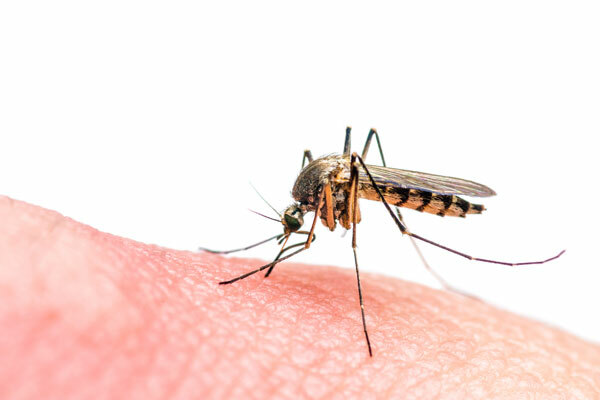 Zika, dengue and Chikungunya are new to the U.S. It’s now known that mosquitoes which bite an infected person, can spread Zika when it bites. In addition, Zika can contracted through sexual contact with an infected person. The most common symptoms of Zika are fever, rash, joint pain and/or conjunctivitis. The illness is mild and symptoms may last up to a week. The need for hospitalization is rare. However, the threat to unborn children is critical, as it can cause severe birth defects. Dengue Fever is a leading cause of illness and death in the tropics and subtropics. However, it has been reported in both Texas and Florida. Symptoms begin with fever, severe headache, with pain behind the eyes, rash, joint and muscle pain. Early diagnosis is critical as symptoms can become critical fast. Protect your family by using the tips provided in this blog, and contact us for pest control in Fort Worth, TX. Common symptoms are fever and joint pain. Additional symptoms may include rash, headache, muscle pain and swollen joints. It’s rarely fatal, but the pain is severe. While Chikungunya isn’t common in the U.S., and its territories, outbreaks have occurred. Mosquito treatment involves the two methods of larvacide mosquito dunks, and a standard barrier treatment. 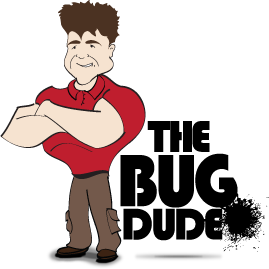 The Bug Dude can provide the pest control in Fort Worth, TX that you require. Contact The Bug Dude today to schedule professional pest control in Fort Worth, TX for mosquito problems, or other pest control needs. Professional pest control uses a mosquito treatment involving the use of larvacide tablets in stagnant water, such as ponds, and fogging in thick vegetation. Our knowledgeable professionals serve Fort Worth and the surrounding areas.